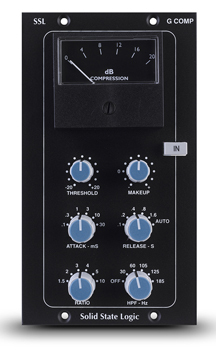 The classic SSL Listen Mic Compressor with an added creative twist. 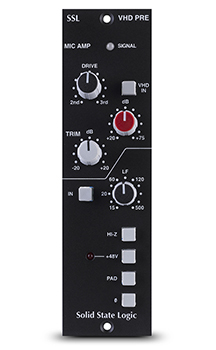 The LMC+ Module brings a new and significantly enhanced version of the classic SSL Listen Mic Compressor to 500 format racks. 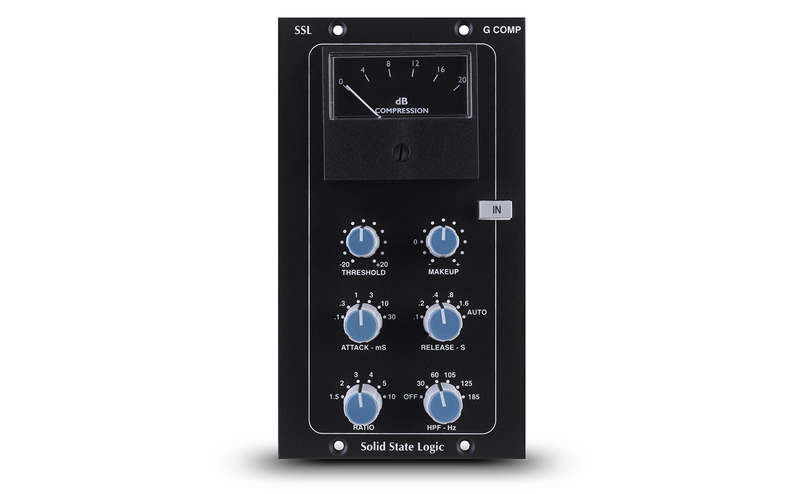 This famous processor from the legendary SL4000E console was the secret weapon in many producers sonic arsenal of recording techniques. Originally designed to prevent overloading the return feed from a studio communications mic, its fixed attack and release curves were eminently suitable for use on ambient drums mics. 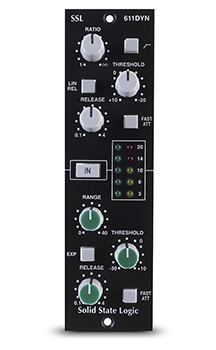 This all-new version includes a pair of classic SSL High Pass and Low Pass filters to allow targeting of a specific frequency range, a filters to compressor side chain option and a wet/dry blend control. Two additional superb new tools are added to give the LMC+ a distinctive sonic twist; a 'Scoop' button that phase inverts the wet signal, as well as a unique 'Split' button that engages a bandpass subtraction mode. 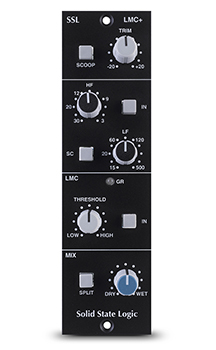 Used together and separately and in conjunction with the filters and sidechain, the new controls give LMC+ a distinctive tonal edge with a range of creative possibilities. 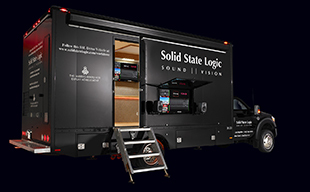 Now audio electronics enthusiasts can build creations that will look as cool as they sound and feature real SSL controls. 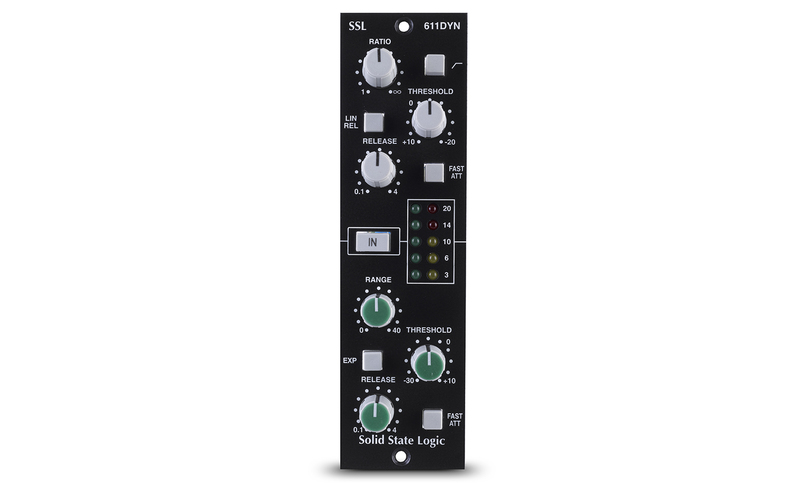 SSL βeta, a unique 500 format module Hardware Development Kit that offers a little SSL style, quality and some SSL specific components to the community of ‘build your own’ audio electronics enthusiasts. βeta offers a very cool self-illuminating Perspex front panel that allows enthusiasts to devise and build creations that will look fantastic in their racks with a window through to their very own electronic creations within. 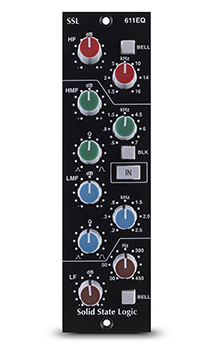 The panel is supplied with a collection of components that are identical to those used in SSL’s industry leading large format consoles. 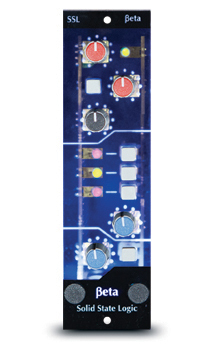 The kit includes five log, antilog and linear pots (including centre detent versions) with SSL’s signature knob caps, a selection of two and four pole switches and dual colour status LED’s. The components mount within the front panel in a fixed configuration but are of course freely assignable to any function. The panel and controls attach to a stylish blue solderable breadboard with a standard 500 format edge connector and is supplied with resettable fuses. In true hobbyist tradition none of the elements of the βeta HDK are pre-assembled – it is a kit of parts for users to assemble from scratch. 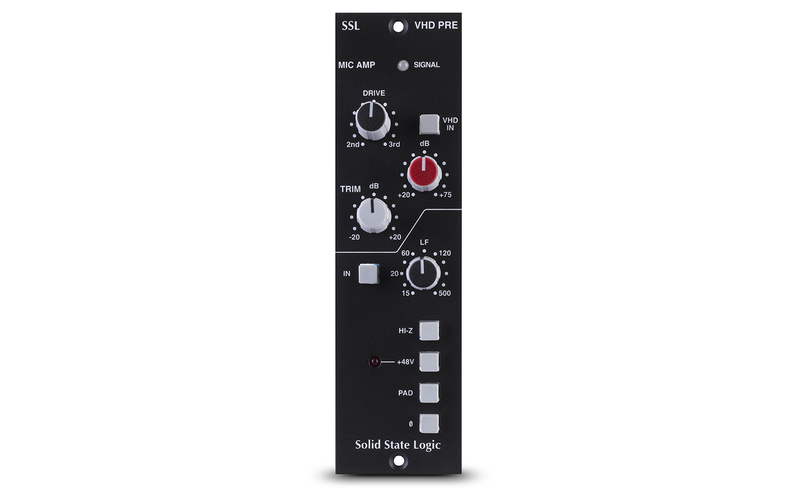 Additional components, such as potentiometers with alternative laws and tapers, can be purchased through SSL’s online store. 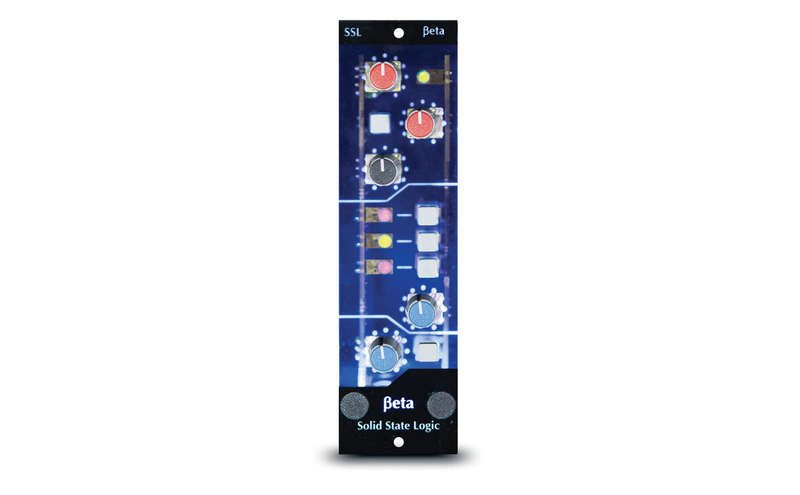 SSL βeta is not a kit of parts to build any specific SSL processor, it is intended as a fun blank canvas upon which users can create their very own unique audio processing ideas. 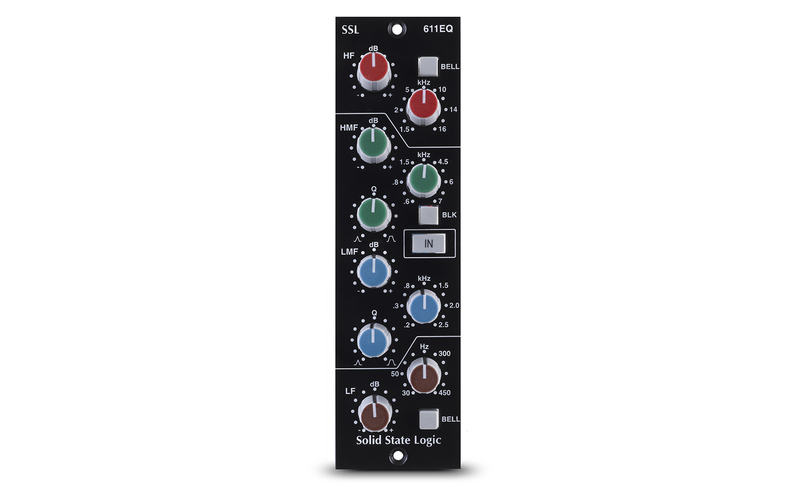 SSL is excited to see what people create so if you use βeta to make something you are proud of you are encouraged to post photos or videos and tell us what you have done on the SSL Facebook page or email via support@solidstatelogic.com.